The Fertility and Advanced Reproductive Medicine Clinic at UT Southwestern Medical Center diagnoses and treats infertility as well as disorders affecting reproductive health for women from puberty through menopause. 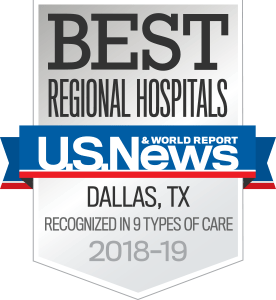 For more than 50 years, UT Southwestern obstetrics and gynecology physicians have been acknowledged leaders in women's health, and we have authored several of the most widely used Ob/Gyn textbooks in the nation. Our specialists provide care to infertile couples, female patients with reproductive tract disorders affecting fertility, and women undergoing natural endocrine changes due to aging. We are devoted to providing state-of-the-art fertility diagnosis and treatment, including in vitro fertilization. In addition to working with patients experiencing a wide range of fertility disorders for women and men, our team treats a wide variety of reproductive disorders.